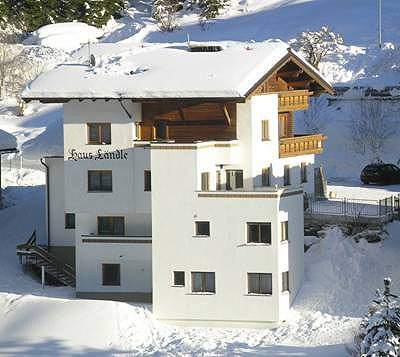 Welcome to Haus Ländle in Ischgl! Enjoy your holidays amidst the stunning mountain scenery of the Paznaun Valley. Ischgl offers sports enthusiasts and lovers of nature endless possibilities in summer and in winter. 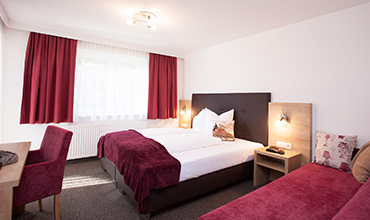 Our house is located in the district of Waldhof on the outskirts of Ischgl, which allows our guests to enjoy some quiet. It has been awarded 4 Edelweiss, the highest category, by the Verband der Privatzimmer- und Ferienwohnungsvermieter (Owners Association of Private Room and Apartment Rental). Our apartments are equipped with W-LAN internet, flat television sets and a fully fitted kitchenette and offer our guests the highest standard of comfort. New from 2018!!! Nespresso-capsule-machine in each appartment. Visit us in winter and enjoy the sheer endless possibilities offered for winter sports enthusiasts in the Silvretta Arena. 238 km of superbly groomed ski runs guarantee unlimited fun for everyone – from wide slopes for beginners to deep snow slopes for free riders. The ski bus stops only a few meters away from our house and is free for all visitors of Ischgl. Those who come to Ischgl in summer get the Silvretta Card All-Inclusive for free. The card allows you to use all buses and cable cars of the Paznaun Valley, all outdoor and indoor pools in Ischgl and Galtür, as well as the swimming lake and the water park in See for free. Additionally, you can enjoy free entrance to the Alpinarium Galtür, the Cablecar Museum in Ischgl and many other attractions and sights. 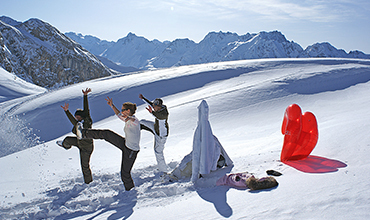 For Johannes Oerding the “Top of the Mountain Easter Concert” is his Ischgl-Premiere! The talented singer and songwriter from Germany has never performed his hits on a ski slope. Our newly renovated apartment – modern and comfortable! Season Closing with Lenny Kravitz.